Whether you are an aspiring hairstylist or intend to cut or trim your hair at home, you will need a good pair of hair clippers. Depending on the style you are looking for, you need to consider the comb attachments, blade guards, and other accessories it comes with. The power source and battery life would also be a determining factor, especially if you want to groom on-the-go. With the number of devices pumped into the market every year, you are spoiled for choice. If you are feeling overwhelmed, do not worry. We have got you covered. Below are some of the best hair clippers out there. 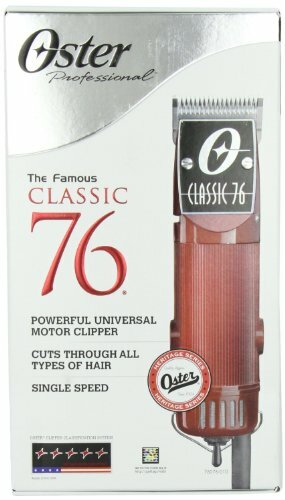 If you are looking for a hair clipper that has numerous barbers and stylists depending on it, then you can consider the Classic 76 model from Oster. This extremely durable hair styling device has been proven to give consistent performance even with regular use. It is designed with a heavy duty universal motor that provides you with a powerful single speed to cut and trim all hair types. Kindly note that this device is not cordless; it is connected to a 9-ft power cord. With an ultra-durable housing, not only does this hair clipper feels good in your hand, it is also break-resistant. The package will include two of Oster’s handcrafted detachable high-carbon steel blades in sizes 000 and 1, but you can get the whole detachable blade collection separately. The 000 blade is meant for cutting hair to 0.5mm for a very close fade, while the 1 blade can be used for medium fade as it cuts hair to 2.4mm. It also comes with a blade guard, and cleaning accessories, which include lubricating oil, clipper grease, and cleaning brush. For those who are less experienced or simply want better control of the speed and length, then you may want to get the Fast Feed motor clipper, also from Oster. You can expect the same ultra durability, but with a cheaper price. It is designed with a more angled body, which can be useful for DIY cuts and trims. Unlike the more heavy duty and louder Classic 76 model, the Fast Feed is designed with a Whisper Quiet pivot motor. This motor is powerful enough for years of home use while keeping the noise level low. Again, the device is attached to a power cord, with 8-ft length. It features an adjustable blade lever on the side, which makes it convenient to change settings with just one hand. It also comes with the same two blades in sizes 000 and 1, which are detachable and handcrafted with high-carbon steel. You also get three comb guide attachments for that extra help. Blade guard and cleaning set will be included. 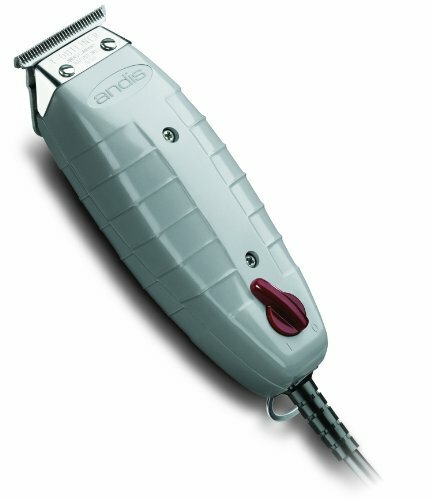 Another reliable and high performance brand for hair clippers is Andis, which has been around for decades. If you are looking for a device that has been designed specifically to outline, dry shave, and fade, then check out its T-Outliner with T-blade technology. The premium quality T-blade with carbon steel construction features precision teeth, which makes it ideal for that close cut and detailing. As the blade is especially hardened, you can expect years of long use from this device. The ergonomically contoured housing makes it comfortable for a one-hand operation. The device is engineered with a magnetic motor that is powerful and boasts high speed. But you can be rest assured that it would not overheat; in fact, the T-Outliner is known to stay cool and quiet while in use. With an affixed 3-prong grounded cord that is 8-ft long, which also features a hanger loop, you can conveniently move around or hook it up so you can really concentrate on the hair cutting or trimming itself. Great for buzz cuts, Caesar cuts, and fade cuts, as well as total body grooming, the corded Wahl Chrome Pro with a chrome finish offers a complete haircutting kit. With PowerDrive technology and self-sharpening, high-carbon steel blades, you get a relatively quiet operation yet powerful and smooth cutting every single time. It is lightweight and designed with Comfort Grip so the device is easy to handle for a longer period of time. It also features an adjustable taper control. Apart from the multi-cut clipper itself, the 24-piece set also includes exclusive accessories from Wahl, making it suitable for both professional and personal use. You get the clipper blade guard, barber comb, styling comb, brow trim guide comb, ear trim guide comb, left and right ear tapers, and nine other guide combs. The set also includes scissors, two hair clips, and cape. For proper care, you get a cleaning brush, blade oil, and a durable zippered storage case. The full-color instructions will help you identify which is what and. It comes with a 5-year limited warranty. 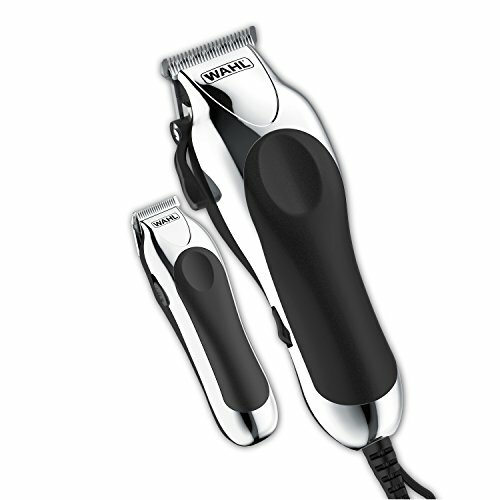 Designed for professional hairdressing, this value-priced balding clipper from Wahl’s 5 Star Series features a powerful and durable electromagnetic motor for that reliable long lasting performance. Of course, you can consider the device for personal use as well if you have the skills and are looking for barbershop-quality work. With all balding work in mind, the clipper is constructed with a rust resistant, fine-toothed blade; this makes it great for high precision skin and bald fades, or any work that needs surgically close cut. In order to ensure continuous optimal performance, the 8-ft cord is made with professional grade and chemical resistant materials. The kit also includes two attachment combs and a blade guard. A clipper oil and heavy duty cleaning brush are also included for regular maintenance. To use the device correctly, the package comes with an instruction booklet. For a manufacturer’s warranty, you need to make sure that you purchase this product from authorized dealers only. PRODUCT SPECIFICATIONS: The 5-Star Balding Clipper (#8110) measures 6.25" long and weighs 1 lb. This product features an 8-foot, professional grade, chemical resistant cord and features a #2105 blade, V5000+ electromagnetic motor, and operates at 120 volts/60 hertz. For sale in the USA only. Conclusion: These hair clippers are currently the cream of the crop. Make sure that you buy the original, and do not settle for one just because of the price. After all, you need a durable device that you can rely on, providing consistent performance all throughout.